SAN FRANCISCO — Mark Zuckerberg says Facebook will move beyond connecting family and friends to building "social infrastructure" critical to bringing people together in a "global community." In a nearly 5,800-word letter to Facebook users published on his Facebook page, Zuckerberg laid out his vision of what kind of world he believes Facebook can help create as it pushes back against a growing tide of anti-globalization sentiment. The letter comes as Facebook is besieged by criticism that it drove people apart by helping spread hyperpartisan misinformation and creating filter bubbles for people who share the same beliefs during the bitterly divisive presidential election. The tone is a significant departure from Zuckerberg's initial rejection of the idea that misleading or fabricated news articles on Facebook influenced the outcome of the election. Though the letter is long on utopian ideals, it's short on actual details. Zuckerberg broadly says Facebook will heal growing division by focusing on key areas such as tools to build more inclusive online communities and tools that help encourage more civic engagement and push people to become more informed consumers of news. He also acknowledged missteps and promised to reform policies, such as allowing more newsworthy and historically important content even if it's shocking to some, such as the Vietnam War-era photograph in which a naked 9-year-old girl is fleeing napalm bombs or the police shooting death of Philando Castile captured on Facebook Live. This is not the first time Zuckerberg, 32, has used his position at the head of a global company with more than 1.8 billion users to make a political statement. At last year's software developers conference in San Francisco, he positioned Facebook as a unifying force for good against the current political winds of divisiveness and isolationism, detailing a plan to bring people together through an ambitious strategy of unfurling technology that jumps borders and crosses cultures. The keynote was seen as a sharp rebuke to then Republican presidential candidate Donald Trump, who was pressing to build a wall along the U.S.-Mexico border and advocated banning Muslims from entering the U.S.
Thursday's open letter comes as many blame globalization along with technological advances and increased automation for wiping out their jobs and eroding their prospects. It's an update to Zuckerberg's original founder's letter which was published in 2012 when Facebook went public. In that letter, he laid out the mission of Facebook "to make the world more open and connected." "When we began, this idea was not controversial. 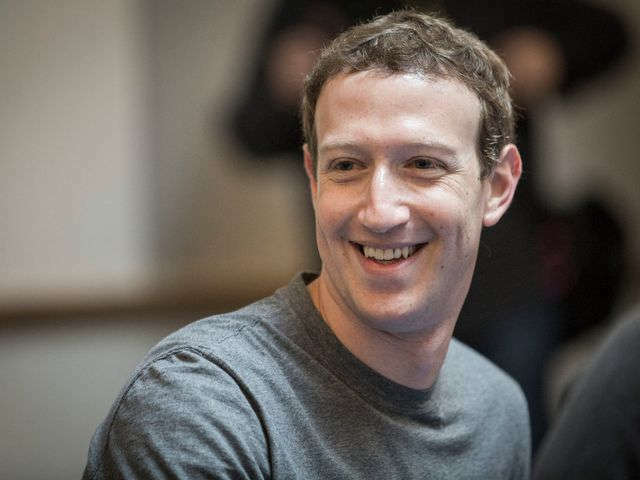 Every year, the world got more connected and this was seen as a positive trend," Zuckerberg wrote Thursday. "Yet now, across the world there are people left behind by globalization, and movements for withdrawing from global connection. There are questions about whether we can make a global community that works for everyone, and whether the path ahead is to connect more or reverse course."